From publishing giants to the ‘not-quite-so-big’, but equally exciting launch of Sarah Kearns Cakes! VG&A has designed a brand new logo and website for local Surrey cake maker and budding entrepreneur, Sarah Kearns. Her new website aims to raise Sarah’s profile within Surrey as she promotes her fantastic wedding and party cakes. Believe us when we tell you they taste as good as they look! Creating a website for any new business may appear to be an obvious thing to do, but not everyone knows how to go about it or what it involves. Sarah Kearns, had similar issues and came to VG&A for help with her ever-growing cake business. Being incredibly organised, Sarah knew exactly what she wanted to say and already had photographs of the beautifully designed cakes she had created, but didn’t know how to create an online brand. We helped by designing her brand new logo and building her website. One of Sarah’s fabulous children’s cakes! Take a look at what we did for Sarah Kearns Cakes here. For more information about creating / updating websites or for marketing help generally, call Vaughan on 07590 468918. 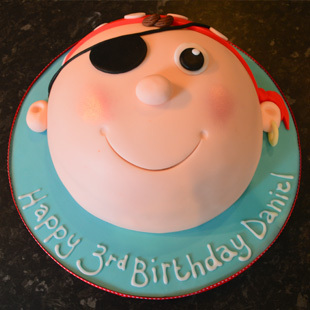 This entry was posted in Brand Development, Design, Marketing, Online Marketing and tagged Cakes, entrepreneur, profile, Sarah Kearns, website build, Website design, wedding and party cakes on September 19, 2011 by Nicola Peaty.